Dating app Tinder has introduced a spiffy new update today that will make a pretty noticeable difference in how users see and interact with other people. Specifically, the company has incorporated both education and work information into its user cards, and made significant changes to its messaging feature. “We know from a sociological standpoint that there’s a substantial part of connecting with someone new comes down to a few variables: two of those variables are job and education,” Tinder CEO Sean Rad told TNW. In addition to including this data on the user card, Rad said that the information can also come up on a new top line that is available when a user appears in the potential match list. For example, if two people went to the same school, it would list that connection right under their names. Rad explained that this new feature relies on an algorithm, so it will prioritize connections like industry or school over liking an activity like soccer. The changes to the messaging system are pretty straightforward: now you will be able to separate people who have actively messaged you from those who have not. Additionally, the backbone of the app is beefed up. Rad says that the new algorithm it teased at Web Summit uses an increased level of data points to help match users more efficiently. Using machine learning, the app will actually surface users with possibly stronger connections, rather than just ordering them by interest or chronology. Interestingly, Rad told TNW that the new and improved algorithm has been out for some time. 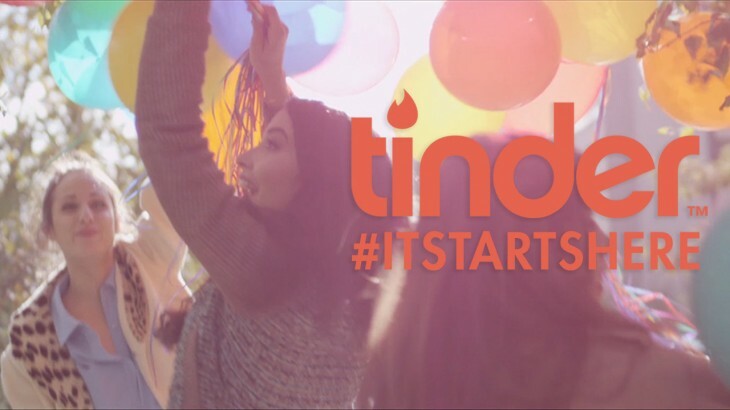 The update comes as Tinder’s parent company, Match Group, recently announced plans to IPO with a potential valuation of $3.1 billion dollars. Tinder, including its cohorts Match, OKCuped, PlentyofFish and HowAboutWe, among others, will soon become publicly traded entities. Regardless, Rad says he feels confident in the way that Tinder works now.